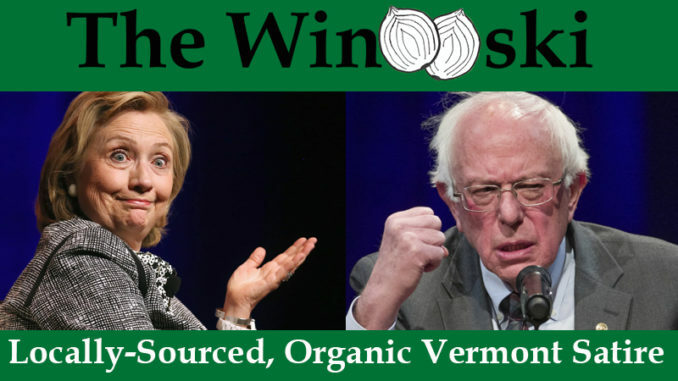 WASHINGTON – Former Presidential hopefuls Hillary Clinton and Bernie Sanders are both considering another failed run at the presidency in 2020. according to sources inside their organizations. Both candidates received massive amounts of support in 2016, but ultimately lost their bids in spectacularly public defeats as a sizeable minority chose Donald Trump to be our president. Studies show that things are pretty much exactly the same, except that the Democrats like Sanders even less now and would be even more likely to interfere with a potential future campaign. President Trump responded to these reports by issuing an executive order that would allow him to jail any of his political opponents in 2020, colloquially known as the #lockherup order.